The Pitt women’s gymnastics team is set to begin the 2018 season under new leadership for the first time in 31 years with newly hired head coach Samantha Snider at the helm. Athletic director Heather Lyke hired coach Snider this past June. Snider will look to improve upon the Panthers’ 2017 season, in which they went 1-4 in dual meets and finished fifth out of six teams in the East Atlantic Gymnastics League Championships. Snider brings to the program two new assistant coaches — Dave Kuzara and her husband, Ryan Snider. As a longtime assistant coach for the Arkansas women’s gymnastics program, Samantha Snider helped guide the Razorbacks to five straight NCAA Regional appearances from 2012 to 2016. Snider took over the team after previous head coach Debbie Yohman, who led the program for 31 years, retired in May. Snider won’t have the burden of rebuilding the program from the bottom up. After losing four seniors from last year’s team, Pitt brings back a solid core of upperclassmen athletes, as well as several promising first-year additions. Last season, the Panthers sent two athletes to NCAA Regionals — senior Tracey Pearson, who finished 13th in the vault, and junior Taylor Laymon, who placed 11th on the uneven bars. 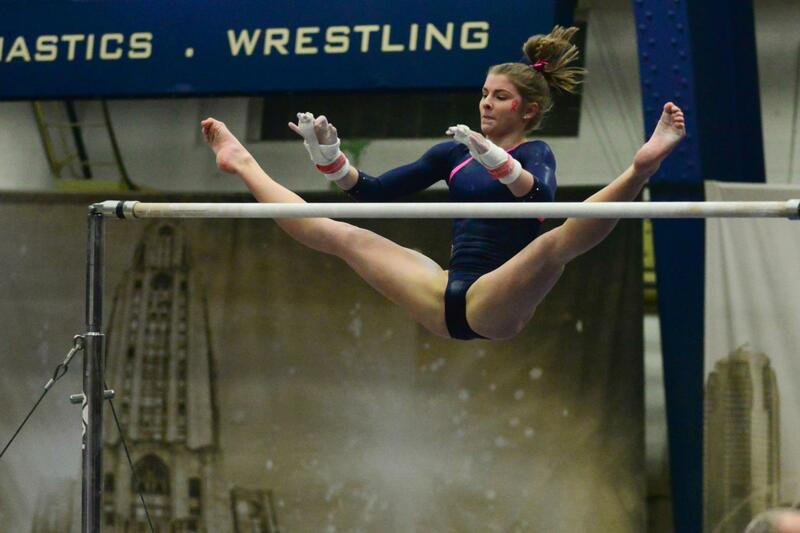 The two manufactured the most points for Pitt’s team throughout the course of last season, with Pearson contributing the team’s best scores in vault, floor exercise and all-around, and Laymon leading the team on the uneven bars. With Pearson lost to graduation, though, Laymon will be expected to step up as the Panthers’ senior leader along with fellow senior Dani Hall. Hall will likely take Pearson’s role as the team’s best threat in the all-around competition, considering she recorded high scores of 9.825 on the floor, 9.800 on the bars and 9.650 on the beam in her junior season. Senior Catie Conrad, a transfer from Eastern Michigan, also figures to make an immediate impact on the team. Conrad should be a consistent competitor on the beam, where she posted a score of 9.800 or better eight times last season. In addition to its seniors, the team is also expected to receive a boost from its incoming group of first-year athletes, including Sophie Bochenek, Haley Brechwald and Jordan Ceccarini. All three join the program after prolific high school and club careers. Bochenek, Brechwald and Ceccarini were all level 10 gymnasts coming out of high school — 10 being the highest possible ranking an amateur gymnast can earn. Brechwald joins the team as more of a specialist. She primarily competes on the bars, having earned a second-place finish at the Junior Olympic nationals in 2016 and a third-place finish at the same competition in 2017. During her high school and club career, Ceccarini was named the 2016 all-around New York state champion, while Bochenek finished second in the all-around at the Michigan state championships. In her senior year of high school, Ceccarini also broke the vault record in her county with a score of 9.900. According to EAGL officials, Pitt is projected to finish fourth in the conference for the 2018 season — after George Washington, New Hampshire and NC State. George Washington, which won the 2017 EAGL Championship, received four first-place votes, while Pitt received one. The team’s opening meet Saturday, Jan. 13 will take place at Pitt’s own Fitzgerald Field House against No. 12 Oregon State, starting at 6 p.m.